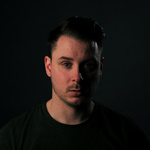 My name is James and I am a freelance filmmaker. I've been making videos for as long as I can remember, and over the years I have developed a keen eye for detail, as well...Read moreMy name is James and I am a freelance filmmaker. I've been making videos for as long as I can remember, and over the years I have developed a keen eye for detail, as well as the technical skills to create a sleek, polished, professional video. I graduated from The University of Bedfordshire in 2013 with First Class BA Honours in Television Production, and I‘ve been working as a freelancer ever since. Great to work with, very accomodating ! James was fantastic to work with. I am incredibly happy with the results and will be working with him again. Fantastic service, I issued James with copious amounts of footage as I was unsure what exactly I wanted, James trawled through all the videos and put together a great promo video! Great work, quick turn around, great communication. Would highly recommend. James did a great job editing. WIll definitely use again!